I must have been quite a disconcerting sight: weeping my eyes out in the middle of O.R. Tambo International Airport. I couldn’t help myself. That is what a good book can do to you. 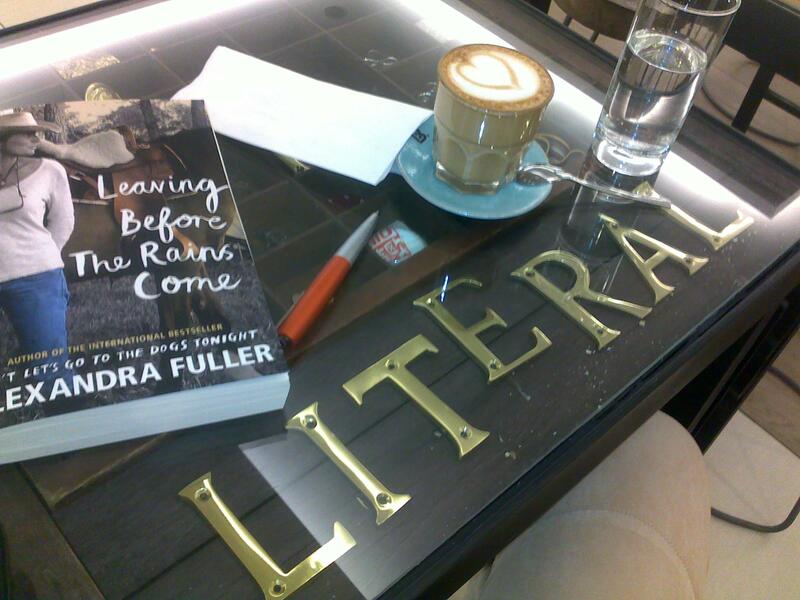 I was passing the wait for my flight home with the final few chapters of Alexandra Fuller’s latest memoir, Leaving Before the Rains Come, when the tears just started spilling over. It wasn’t the first time one of Fuller’s books had made me cry. But perhaps it was most fitting since this particular story feels as if it had been written through a lot of intimate pain. Mostly known for her international bestseller, Don’t Let’s Go to the Dogs Tonight, Fuller is the author of four other books. She is one of those writers who will either irritate the hell out of you or steal your heart. She stole mine with The Legend of Colton H. Bryant, the incredibly moving story of a young cowboy who died on the oil rigs in Wyoming, and I have been reading her work ever since. My other favourite is Scribbling the Cat: Travels with an African Soldier in which Fuller captured her haunting encounter with a veteran of the Rhodesian war. In hindsight, the book can be read as a companion to Leaving Before the Rain Comes. This entry was posted in What I've Read, What I've Written and tagged Alexandra Fuller, Harvill Secker, Karin Schimke, Karina Szczurek, Leaving Before the Rains Come, memoir, Not Now Darling I'm Reading, O.R. Tambo International Airport, review, Scribbling the Cat, The Legend of Colton H. Bryant on July 8, 2015 by Karina.